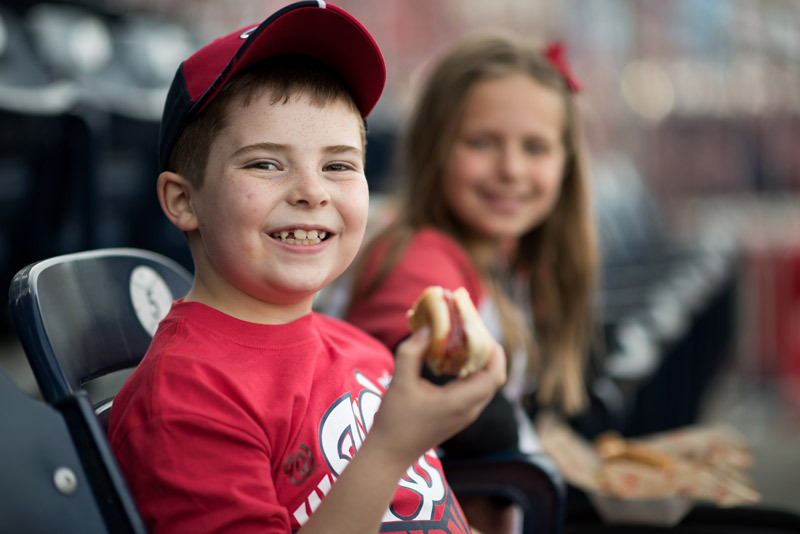 For the hungry Nats fan, there are plenty of reasons to leave your seat and grab a bite to eat. 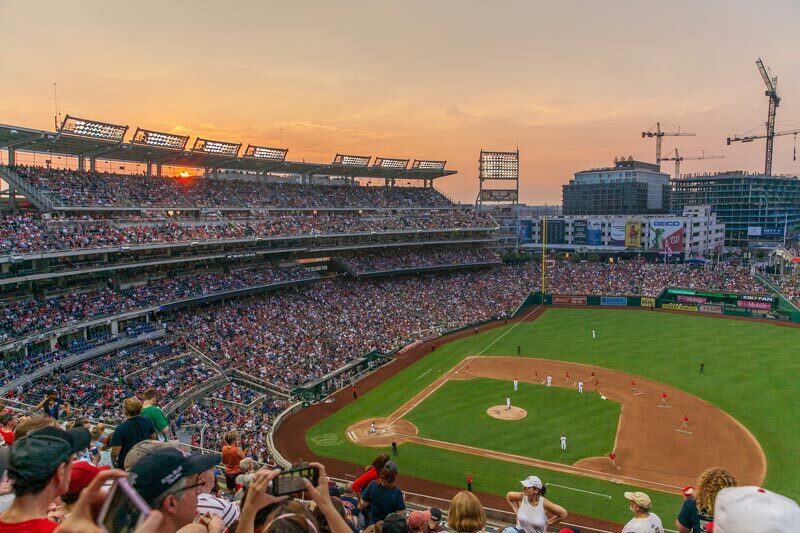 There’s more to Nationals Park than cheering on the talented ballplayers and hoping to catch a fly ball, although these are great reasons to catch a game. Compared to other parks, this one puts food high up on the priority list: easy-to-read digital menu boards illuminate crave-worthy items at each concession stand and there's an emphasis placed on locally sourced food made from high-quality ingredients. 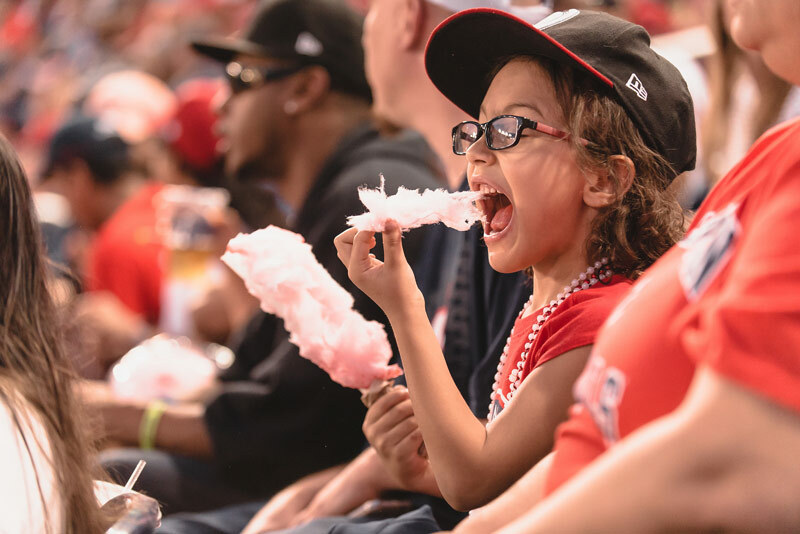 When you go to a Nats game, don’t forget to download the Ballpark app for iPhone and Android, which allows fans to order concessions and access promotions as well as in-game activities, all without leaving your seat. All of this amounts to a unique experience you can have no place else. 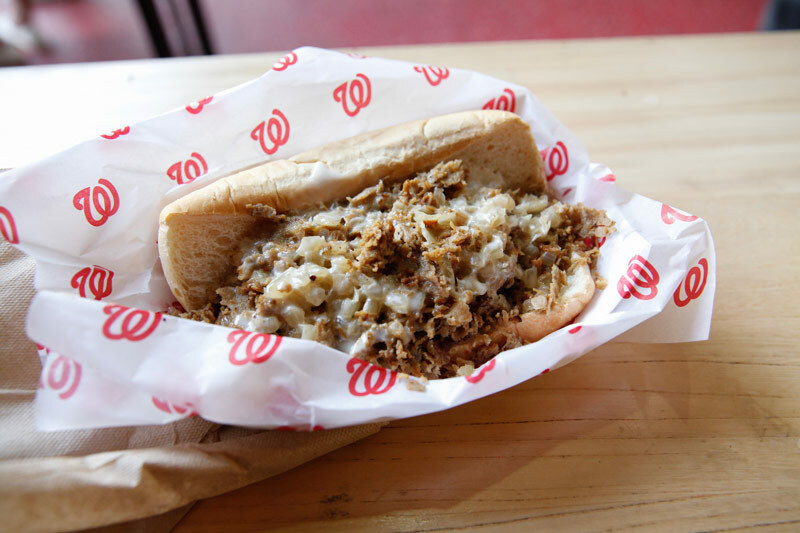 1 What food options are new to Nationals Park this year? With so many food and drink options at Nats games, it’s hard to know where to start. The new food options for the 2019 season are plentiful. 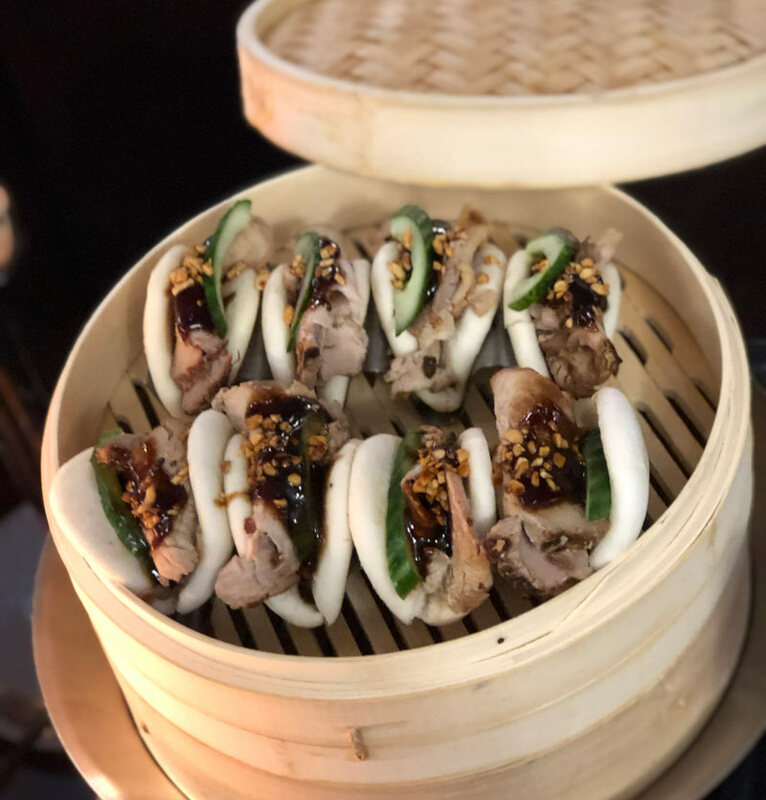 There’s CHIKO (section 238), a blend of Chinese and Korean flavors from chefs Danny Lee and Scott Drewno – think Korean fried chicken wings and a Bulgogi Hoagie with Korean BBQ beef, caramelized onions and kimcheese wiz on a soft roll. The new Bao Bao stand in section 116 will offer house-steamed buns loaded with toppings like roasted mushrooms, red cabbage slaw and spicy sauce. Cantina 202 is your new go-to for nachos and soft-shell tacos in sections 129, 216 and 314. Local sensation Hank’s Oyster Bar joins in the fun as well, serving up shrimp po’boys, fish and chips, fish sandwiches and Old Bay fries over in section 108. Oysters on the half shell from Harris Creek Oyster Co., a family-owned oyster farm on the Eastern Shore that has been raising bivalves for 13 generations, can be savored in section 238. 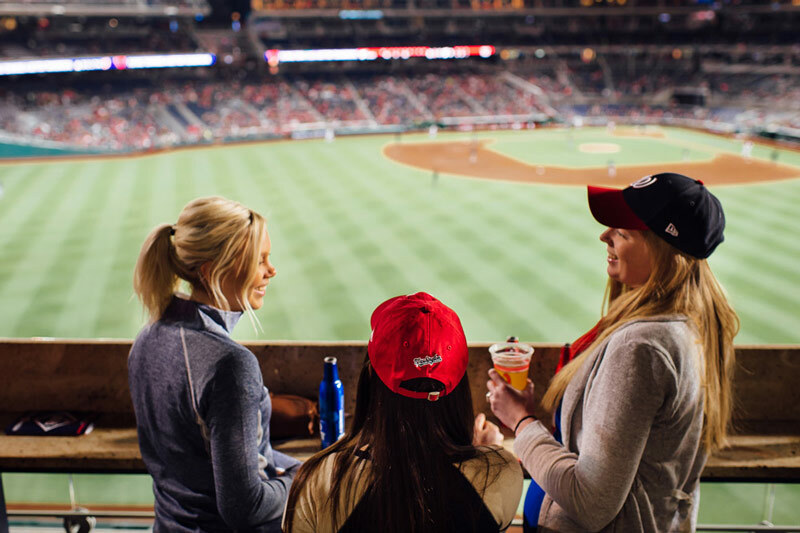 Nationals Park is full of options for craft beers and inspired cocktails. The Distilleries of the DMV stands in sections 112 and 135 offer on-draft cocktails from four DC distilleries – look for a rotating cast of baseball-themed cocktails. Venture to District of Cocktails in section 111, where you can enjoy a signature crafted cocktail from Republic Restoratives, the first female-owned distillery in D.C. Republic's Civic Vodka will be featured at all ballpark bars. Last but not least, District Coolers serves refreshing adult-style juice boxes in section 108. 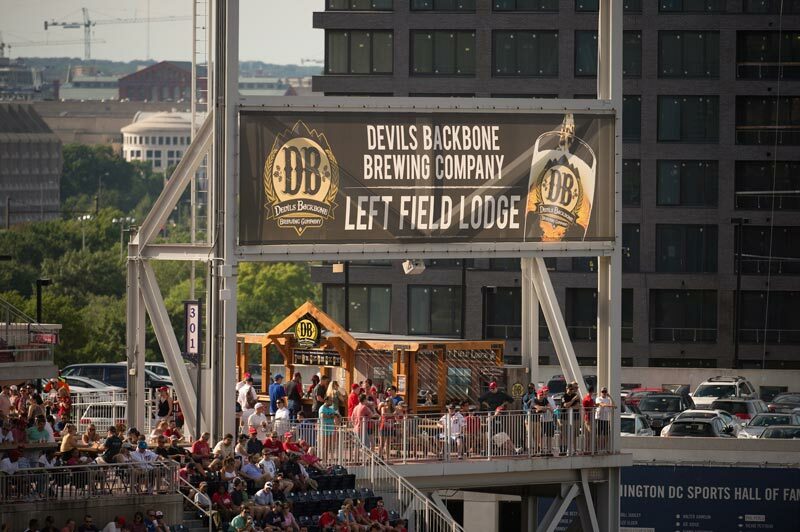 Sip the Earned Run Ale from popular Virginia-based brewery Devil's Backbone at the rustic Left Field Lodge, complete with craft brews and picnic tables located at the Section 301 lookout. Budweiser will also be offering its new Discovery Reserve, a limited edition lager with a light, hoppy aroma and a toasted malt taste. The beer honors the 50th anniversary of the Apollo 11 moon landing and is brewed by military veterans, with a dollar from every purchase going to Folds of Honor, which offers military scholarships for spouses and children. 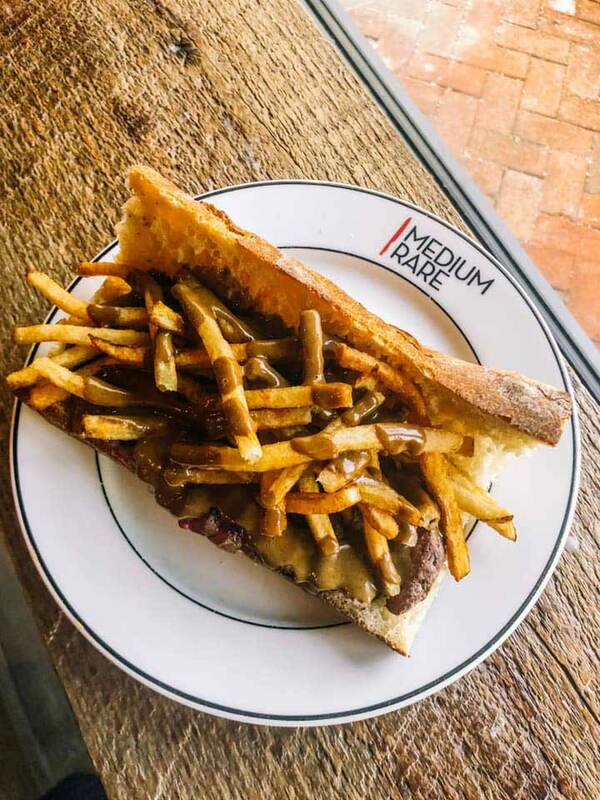 Naturally, the offerings aren’t complete without the fare that made DC famous – crab cakes and half-smokes, DC's take on a hot dog. Get yours by way of Chesapeake Crab Cake Company (sections 114 and 306) and a whopping three on-site Ben’s Chili Bowl locations (sections 110, 141 and 317). As the tater tots craze continues to take over the nation’s capital, See. You. Tater. 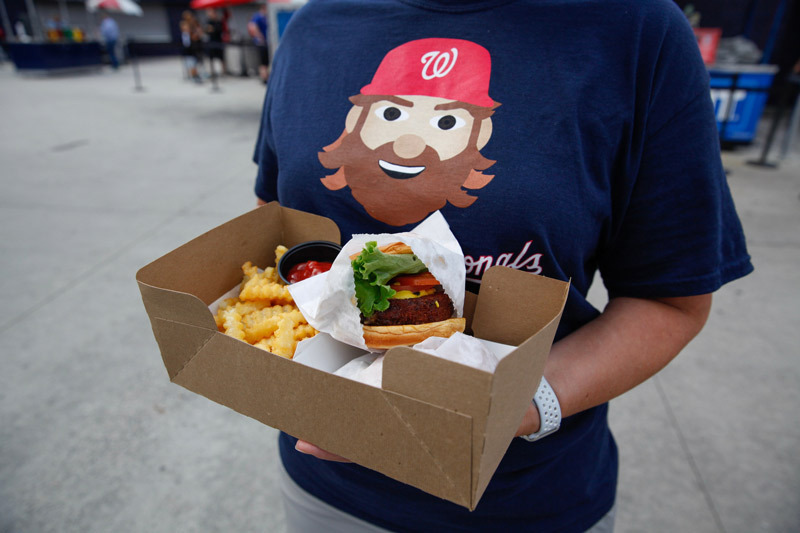 is here to fill up hungry Nats fans with plenty of gourmet tots, including backyard barbecue and Chesapeake crab-inspired options. The tots-focused concession stand located near section 106 also serves up five different types of chicken wings. New for this year, all sausages in Nationals Park will be supplied by local purveyor Encore Sausage, who specializes in succulent Italian sausage. Situated smack dab in centerfield, this popular hangout is open to all fans — no reservation required! Above the restaurant is a bar featuring premium drinks and local brews, as well as a view that can’t be beat. A fan favorite that debuted at Nats Park in 2016, Haute Dogs & Fries are purveyors of gourmet hot dogs and sausages with creative toppings. Head to section 106 for creative sausages and sandwiches made with local ingredients and hand-cut Idaho fries with seven different dipping sauces. Burger lovers keen on Shake Shack can get their fix outside section 240. The outfit's signature Angus beef patties and special Shack sauce attract legions of fans, and for good reason, so get there early. Enzo’s Pizza offers New York-style thin crust cheese, pepperoni and in-season specialty pizza slices. In addition to pizza, each stand sells a selection of wines. Fans can find Enzo’s at sections 115, 214, 228 and 311. 8 You can have a helping of steak from a local fave. Locals go crazy for Medium Rare, which will be doling out delicious steak sandwiches in section 136. Their fries and signature sauce are also an essential part of the meal. 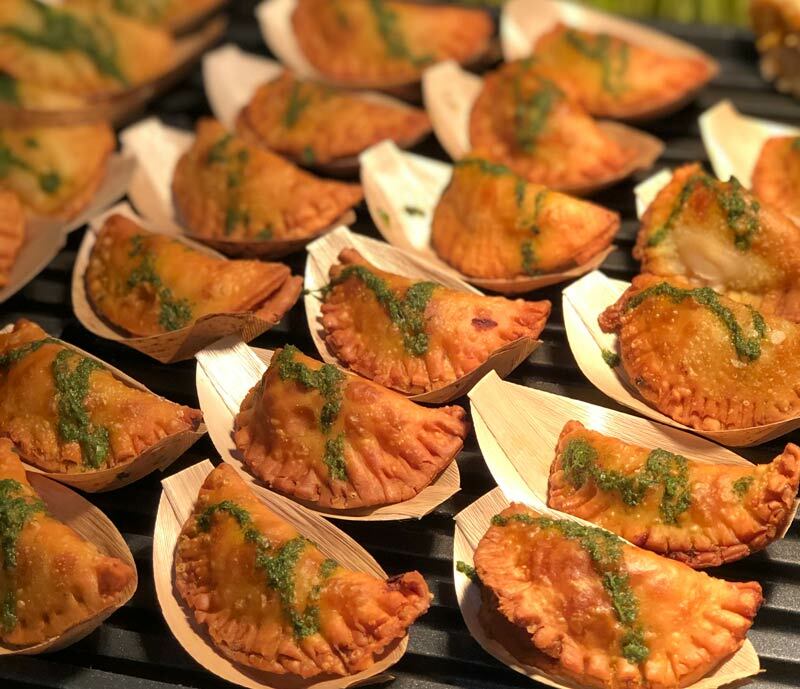 DC Empanadas is another staple of the nation’s capital joining the food roster at Nats Park this year. Found in section 244 near the Bud Light Loft, the stand offers buffalo chicken and spinach and feta empanadas, among other options. 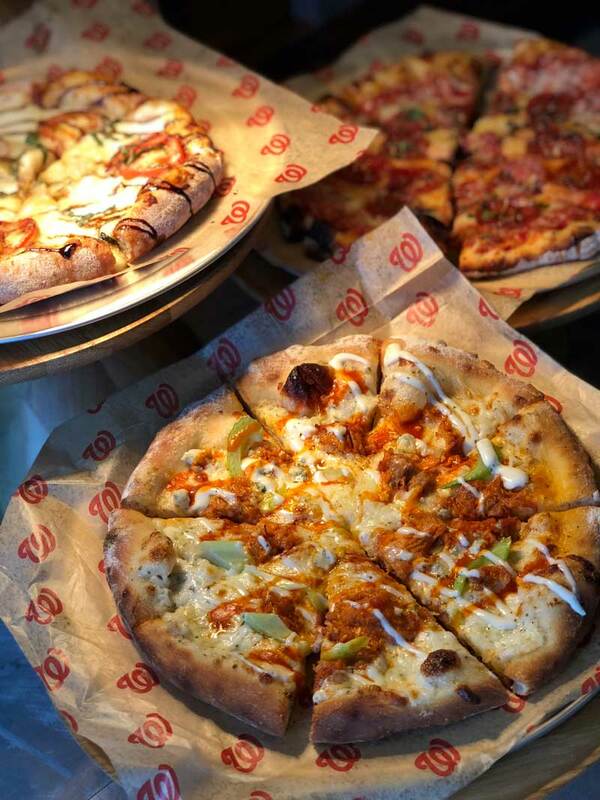 10 Getting food at Nationals Park has never been easier. Beginning this season, many of the mobile concession hawkers at Nats Park will feature Square Terminal, an all-in-one handheld device that will allow you to pay for concessions from your seat with a credit card, mobile phone or smartwatch (via Apple Pay or Google Pay). 11 Order from the Caviar app and skip the line. The Nationals have partnered with the food delivery app Caviar to set up the company’s first-ever stadium concession stand in section 106. You will be able to order from your seat and pick up your food from a rotating cast of vendors that will include Tiger Fork, Mason Dixie, Duke’s Grocery and Toki Underground. Beverages will be available at the stand for customers ages 21 and over, and Caviar will still have traditional walk-up payment stations, too. For all things Washington Nationals, check out these reasons to catch the District's boys of summer. And don’t forget to score an exclusive discount and save big on Washington Nationals tickets. Just go to the single game tickets page, select the game you wish to attend and enter the promotional code VISITDC to experience one of baseball’s most exciting teams in action.